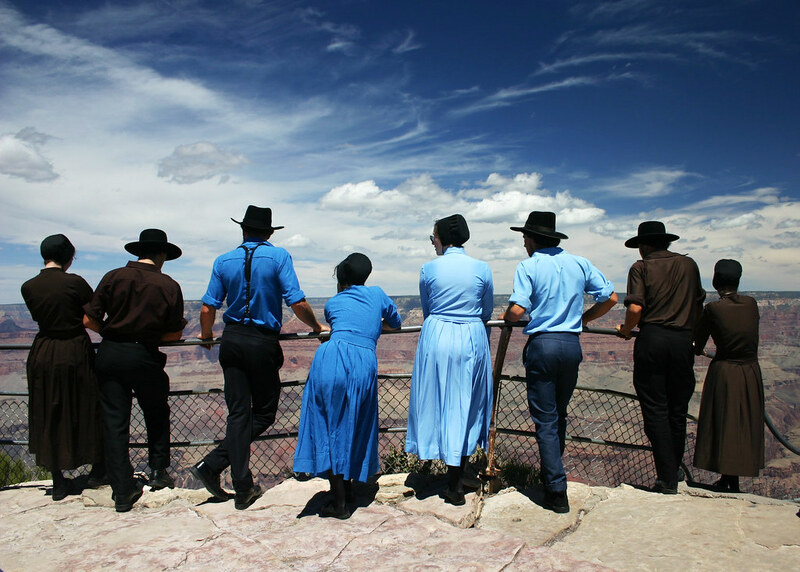 7 LISTS Living in an Amish ParadiseLists about the traditionalist Christian church known for simple living, shunning modern technology, and cool hats. Some of the most well-known Amish beliefs center around their aversion to modern electronics and the religion's dependence on agriculture in order to sustain their lifestyle. But one of the biggest mysteries of the Amish faith is rumspringa, an Amish coming-of-age ritual where teenagers leave their farm to explore the outside world, all while deciding whether or not they want to stay in the Amish religion. If the Amish teens don’t return to their families, they have to leave the farm and find their own way in the world, but if they decide to stick with the Amish faith, they have to deny all worldly pleasures and give themselves over to God. What do Amish teenagers actually do when leave their families in order to find themselves amongst the riff-raff of middle America? Do Amish teens cast off their dorky clothes in favor of jeans and t-shirts, drive cars, and drink a lot of beer, or...? Read along, and explore the truth behind rumspringa. How Long Does Rumspringa Last? There are differing reports on the actual length of rumspringa, with some reports saying it lasts one to two years, and others saying it lasts as long as an Amish teen chooses. Which, if true, means that it's possible for rumspringa to act as a kind of endless summer for some members of the Amish community. An NPR dissection of the Amish party ceremony continually notes how much beer the kids drink. Picture in your mind's eye, "A used-car-lot inventory of cars, trucks, buggies, bicycles, and motorcycles is already parked here. Iced coolers of beer are put out; Amish teenagers reach for bottles with both hands." With such a selection, the favorite is clear: "Beer is the liquid of choice, but there are also bottles of rum and vodka, used to spike soft drinks." While the easiest rumspringa comparison is spring break, there isn't actually a specific time of the year when Amish teens let down their bonnets. Most Amish teens begin their rumpsringa at 16 years old, giving them enough life experience to somewhat function in normal society, while also providing enough time to lead a full life as a member of the community. Throughout Pennsylvania, rumspringa parties are notoriously crazy. According to a report from NBC, teens come from Illinois, Ohio, and Michigan to party in the rural wooded areas. A sheriff says that the sheer size of these parties is what makes them so wild. "Unfortunately, when we do have to respond to a large gathering, party, and it’s majority Amish, it’s huge. Anywhere from 200-300 kids."